Josiah Go wanted to be a marketing specialist after realizing that the degree he took in college, business management, was the wrong course. He believed that before a management strategy can be successfully executed, good marketing must come first. 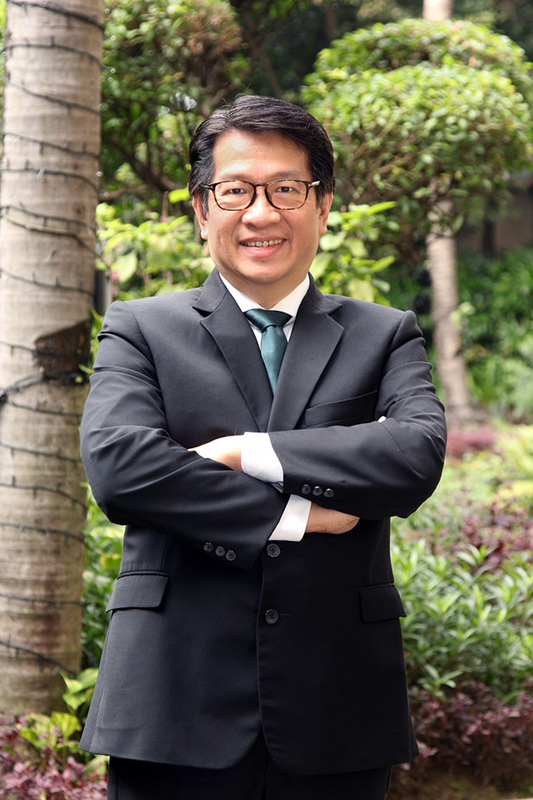 Right after graduation, Go, who took a part-time job while studying, got a brand marketing job with a family-owned food and beverage conglomerate in the early 1980s. He did so well in his work that in nine months, his company promoted him to become an associate brand manager. But three years after his first job, Go decided to quit and pursue his dream of becoming an entrepreneur. During that time, he was so passionate about going into business that he chose to give up a job promotion offer by his company to become a marketing manager. Success in business however did not come easy for Go. He closed down his first startup, which was into importation of audio cassette tapes, after one year of operation due to competition. He then ventured into distribution of small appliances from Japan but also had to close down after a few years because of the effects of the currency crisis. Despite his early failures, Go refused to give up. One day, he found an opportunity to sell water purifiers, which was a high-margin product with low market penetration. The business did well in retail stores but it was in the early 1990s that sales grew exponentially when Go launched the Multi-Level Marketing (MLM) program. Today, Waters Philippines, Go’s home water purifier business, is the largest water selling company not only in the country but in the whole of Asia. The marketing success of Go also made him a bestselling author of 16 business books on marketing, having sold over 250,000 copies to date. One way to create a good niche is to find an unserved or underserved market. An underserved market exists when there is an opportunity to fill a void in the market. “The process of market driving strategy is simple: identify the pain points or the opportunity and fill up that space and be a first mover,” Go says. “Example is when I launched my first book in 1992, there were hardly any local authors. It was an unserved market since I did not have to compete with other marketing authors although I had to convince readers of foreign marketing books that my book was equally good. “Another example is that when I set up Waters Philippines in 1994, there was no MLM in home water purifiers. There was also no installment schemes in MLM so what I did was to combine both and made us the first MLM company in home water purifiers that offer installment plans. This allowed my distributors to sell to a wider market,” Go adds. Understanding what your customers want and what they expect from you is essential to business success. When you know how your customers behave, you can design your product and services that suit to their best interests. “Know your consumer pain points. Ask your target market what they dislike about a particular brand or product. The best time to ask your customers is when they are conscious of these pain points so get as close to the customers when they are using the product or encountering your service,” Go says. “When I was teaching part time at the Ateneo, students were asking for my notes and various newspaper clippings. I used the request for my notes as a demand indicator, which made me study the market because there was unoccupied white space. This led me to launch the book later on,” he adds. Branding is more than making a logo or a slogan. Good branding involves every part of a customer’s experience that adds value to the business. “Entrepreneurial startups have lesser funding. They should have a real compelling value proposition to trigger word-of-mouth and word-of-mouse, instead of operating like big companies. Entrepreneurs should also use their ecosystem to help promote and create their own brand” Go says. A business that encourages creativity is likely to produce innovative solutions if it has the capability to exploit new ideas and turn it into new products and services. “No innovation can happen unless there is a new insight discovered, so entrepreneurs must hunt for new truths—what people like or dislike, why they feel that way, what barriers do they encounter and why these are important,” Go says. “Our product, Waters Bio Mineral Pot, used to be sold in retail stores, such as appliance stores and duty free shops in the late 1980s. It changed its business model in 1995 after pilot testing a new direct selling system with an innovative compensation plan that allows a member to earn not just from personal sales but also from sales of their recruits. “As a result, some owners of Waters Bio Mineral Pot were willing to start as distributors. In fact, the initial group of the business opportunity meeting was attended by about a dozen customers who agreed to sign up as independent distributors and sponsored their own network,” he adds. There is a saying that without strategy, execution is aimless and when execution is absent, strategy is useless. A brilliant marketing idea is nothing if it is not turned into action. 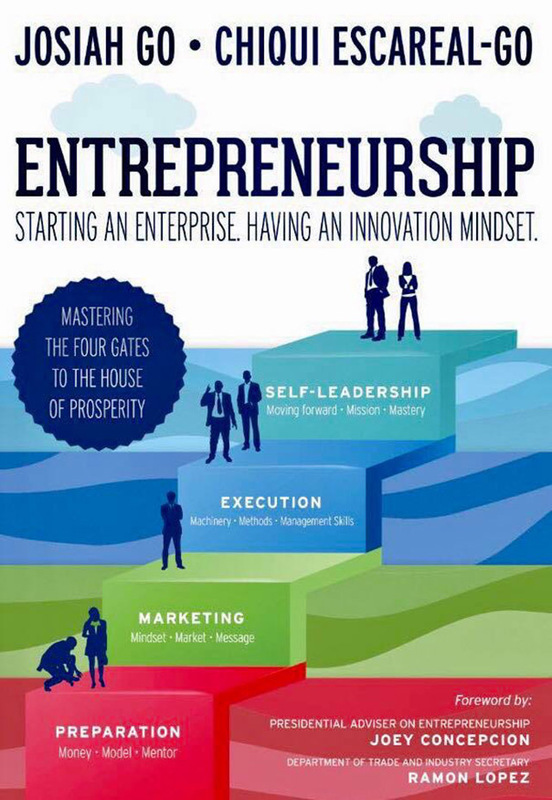 “In my latest book, Entrepreneurship: Starting an Enterprise and Having an Innovation Mindset, I discussed the four gates to entrepreneurial prosperity. There are four major gates every entrepreneur needs to enter to arrive at the House of Prosperity—the preparation gate, the marketing gate, the execution gate and the self-leadership gate,” Go says. “Gate 1 is the stage where you need to prepare well to have ‘stamina in marathon.’ This includes having business partners who can help in providing money, mentoring and developing a business model to accelerate your experience curve.